MG6 - why shouldn't it succeed? First thing’s first, I’ll lay it on the line now: I like the MG6. There, I said it and, from what I have seen of the car – and that’s no more than anyone else who reads this site – it’s an inoffensive, modern-looking hatchback that won’t alienate buyers who want a stylish car that’s a little bit ‘different’. In short, it’s a car that no one need apologise for. It’s true to say that the MG6 won’t advance automotive design one iota and nor will it drum up a wave of nationalistic fervour like the Metro did back in 1980. Indeed, I’d be surprised if MG Dealers across the land will be beating off customers with a stick following Monday’s official unveiling in China. However, in an age of increasing globalisation, and the sheer uniformity that brings, the new MG6 is a welcome diversion and, for that reason, I hope thge car sells well. There’s been a fair bit of negativity in the press and on various forums across the world (not least this one) directed towards the MG6 and it’s easy to understand why. There have been little signs of activity at Longbridge, the PR Department’s been almost invisible and the relaunched MG TF’s not exactly set the sales charts on fire. The impatient amongst us – and that includes me – have found the Anglo-Chinese Wall of silence incredibly frustrating, although I understand the reasons for it. New vehicle development is a time-consuming and costly process. It’s a huge investment and SAIC obviously believes that playing its hand too early will be counter-productive. Having said that, the MG6 Concept revealed earlier this year should have convinced people that the new car was on its way and looking mighty fine. Unfortunately, as far as the European media is concerned, the arrival of the concept in China was a non-event and, had it not been for the few UK motoring journalists at the Shanghai Auto Show who decided to give the car some column inches, we may never have known at all. Yes, no one in Longbridge saw fit to tell us the MG6 Concept was being shown. A new MG! A new MG that might possibly be built in the UK! MG Motor UK did, though, put out a short Press Release last Friday, saying a new car was being launched – and, er, that was about it. However, despite the continuing failures in PR, I am genuinely supportive of the MG6. It was developed and engineered in the UK in Leamington Spa and Longbridge and set-up by British engineers who truly understand a thing or two about vehicle dynamics. It’s based on existing and well-regarded hardware, but there’s enough new componentry underneath the skin to consider it a fresh start. The styling, whilst not the car’s strongest point, was put together in the UK, with an eye on global markets. 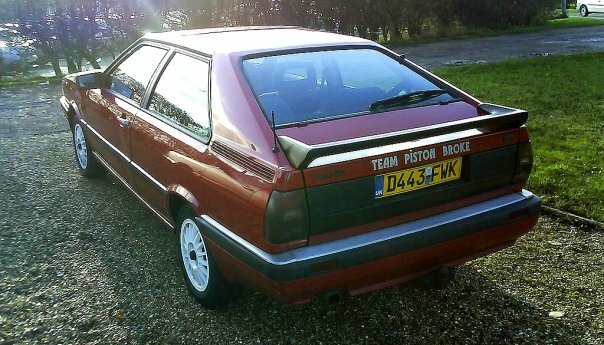 Trust us, if this was a China-only effort, it would have been a saloon cast in the same mould as the Roewe 550. Anyway, we’ve now, at least, seen the car, we know what it’s all about and have a fairly clear idea that it will drive reasonably well – and it might even be quite quick with that K-Series (sorry, N-Series) turbo under the bonnet but the million dollar question is – will it be built in the UK? If it is, then the MG6 might get an easier ride in the press, because it shows that China takes this model’s export performance seriously. Less demanding buyers will be reassured by the salesmen’s patter that says ‘yes, it’s built in Britain’ and , as long as it drives well and is priced realistically, it should attract buyers. 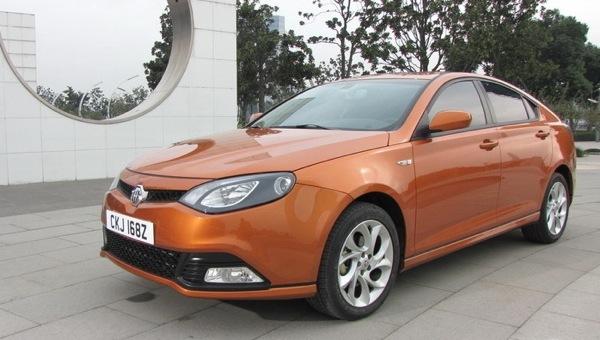 If not, then the MG6 will probably be overlooked completely and dismissed as a bargain-basement Chinese car with the result that the global relaunch will be a whole lot tougher in Western markets. Pretty much 100% agree with your comments. Keith, have you lost it? My main concern with the 6 is that, whilst the design may be top quality, the components underlying it won’t be, resulting in a poor car that will do the brand no favours, again. I hope I’m wrong, but time will tell. I wonder how it will get on in Euro NCAP testing? I reckon that this car is the spiritual successor of the Morris Marina – it’s an utterly contemporary bargain basement product designed for a short model life until something better can be delivered. Hopefully, it will not be expected to live beyond its years like the Marina. What surprises me is the complete lack of activity and preparedness of the PR Team, who, by all accounts, did not get a copy of the Press Pack until after it was published in China. SAIC Motor’s European intentions do not sound serious to me – if you wanted to assemble this kind of car in the EU you would build a Green Field CKD shed in the Baltic States or Romania to take advantage of the the lower labour costs rather than use the semi-derelict Longbridge site to screw the kits together. It’s not that I don’t want Longbridge to succeed but, at the moment, the whole thing just does not stack up. I understand the comments (FWIW, I think it’s quite bold forward of the A post but the profile echoes BMW and the interior is somewhat staid. Whether it succeeds in the UK depends on what they do with it, eg promotion via the BTCC, how good/local the dealer network is, whether the old MG performance/handling tweaks are in place, etc. Let’s not be too critical – at least SAIC are having a go while Peugeot, Ford, etc, just pack their bags and leave. 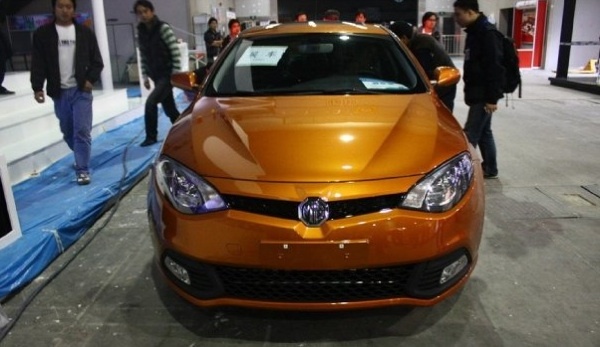 I would also be interested in how much local parts/value content will eventually be in the MG6. As for assembly elsewhere in Europe, have a look at Romanian wage inflation and GDP growth levels. In the medium term the UK becomes increasingly competitive again as it needs to manufacture/export as the consequences of the inevitable banking collapse come home to roost.